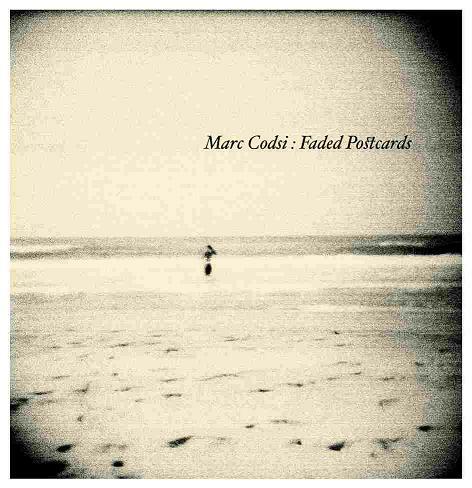 Today let me again present some vintage-sounding ambient, this time it is Marc Codsi’s self-released album “Faded Postcards”. It consists of diverse parts – from rhythmic to ambient, and has different moods – from mysterious, through a bit sad, to gentle and serene. The title of the album says for itself – the sounding resembles some remembrances, segments of memory, or rags of the author’s consciousness, which construct this music body. Reversed samples, drones, piano sounds, some electronic drums pieces, constitute this sonic ensemble. All the tracks are valuable and precious, however, I would like to distinguish one of them, just not to dissipate; it is called “A White Rabbit In a Hole” – a great example of the expression of childish inner world – tender guitar tinkles, tiny hummings, and the entire positive feeling of comfort and happiness. This very feelings could accompany the meeting with the White Rabbit, which, having noticed your appearance, quickly penetrates his magic hole. So, watch some “Faded Postcards” with Marc Codsi. This entry was posted in Uncategorized and tagged ambient, Databloem, experimental, Marc Codsi. Bookmark the permalink.